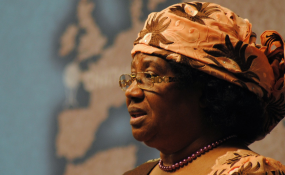 Former President Joyce Banda has reiterated that Malawi is in a pathetic state, but has said that her People's Party (PP) has plans to achieve maximum prosperity beginning May 2019. Banda said at a rally at Karonga Freedom Park that it was a missed opportunity for Malawians to have voted the Democratic Progressive Party (DPP). "We have a government that does not work. You Malawians know," said Banda, Malawian first female president. According to Banda, plans are underway that 3000 mega watts should be complimented to the national grid to boost electricity. "I got 65 mega watts from China in 2012. And we are saying that as People's Party we are going to add 3000 mega watts once we get into power. What should that say to Malawians, blackouts again?" said Banda rhetorically. Banda received applause and ululation at all times she addressed the crowd. Harry Mwanyembe, a PP councillor in Karonga, asked Banda, when she gets into government to find market for Karonga market farmers. "Karonga produces a lot of rice. Please help us find markets. Not just markets. But international markets," said Mwanyembe. Despite the scorching heat, there was a good attendance for the Karonga rally. Before the rally, Banda, who became President after the death of President Bingu wa Mutharika, consoled the family of Traditional Authority Kalonga who died about four weeks ago.